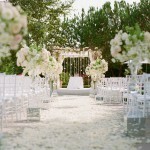 Spring is just a month away and it’s the best time for an outdoor wedding. 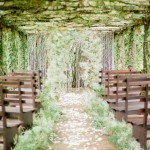 Whether you are holding it in your own garden or yard or at some picturesque retreat the venue decor can add so much charm and glamor to your nuptials. 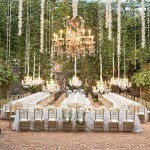 There are so many ways to decorate your outdoor venue especially if it’s filled with trees that can be used as a ceiling for exquisite chandeliers, romantic string lights, and colorful pom poms. To choose the best location for your wedding consider its proximity to the house/hotel/amenities like restrooms or sun awnings so that the guests felt comfortable throughout the entire reception. 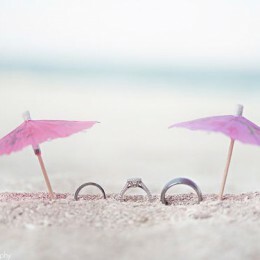 If the weather will be more or less sunny plan a tent in your yard or garden where the guests can hide from sun as well as the rain in case the weather is to be rainy. 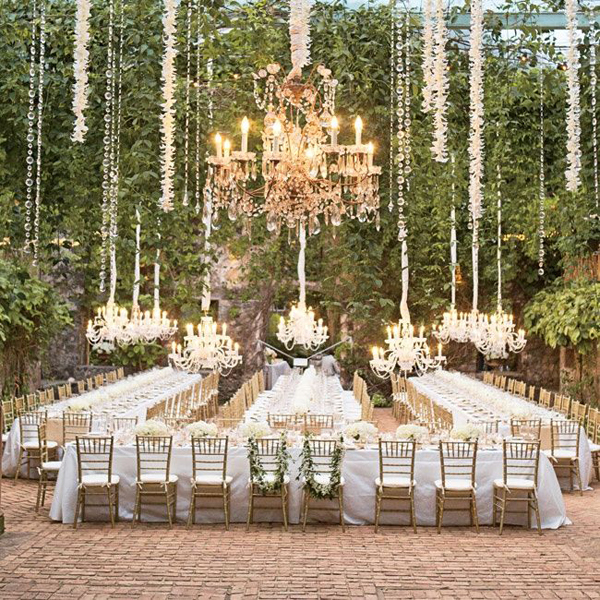 If you’re planning to hold the ceremony and reception in one place make sure that there is plenty of space for both or you will have to move the chairs from the ceremony site to the tables, especially if there are many people. 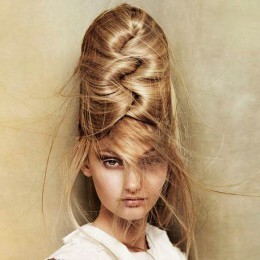 This is not very convenient though you could pull it off if you have a small wedding. 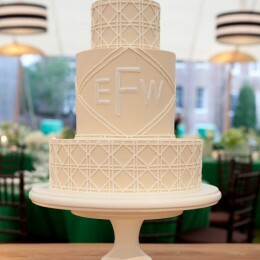 Make the ceremony site a focal point. 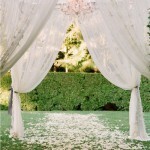 Place an arbor where you will exchange vows and decorate it with flowers and fabric. 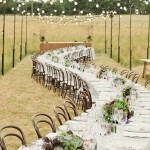 By the way, fabric is a fantastic way to decorate anything from old tables to chairs and benches for guests. Some locations can be just spectacular and you don’t really need much to decorate them. Place a few pieces of furniture here and there to allow guests lounge away from the dinner table and lawn games. 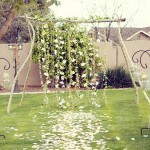 There are millions of other ways to decorate your outdoor wedding venue including a runner rug, potted flowers, flower baskets, floral pomanders, floral chandeliers, fabric chair skirts, candles, string crystals, wreaths, and many other decorations. 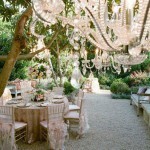 No matter what you choose, make sure your decor is harmonious with the location and nature.